Opening in February, Jerome Borazio’s latest venture goes all Jackie Chan on us. 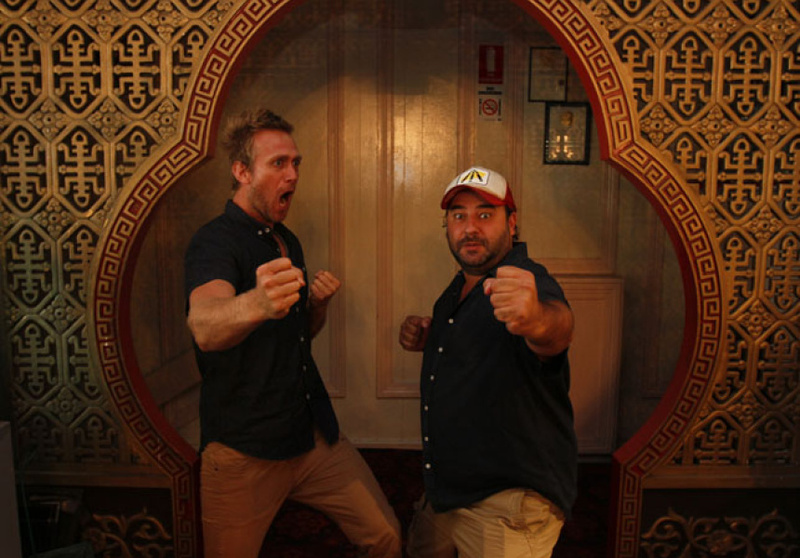 Nunchucking its way onto the mean streets of the Melbourne CBD this February will be Happy Palace Restaurant and Bar. Yet another revivalist brainchild of the revival tsar Jerome Borazio and business partner Josh Lefers, the idea was borne from an inebriated early morning dash. “Jerome and I have been brewing over creating a bar/restaurant ever since we had this 4am, 100-metre sprint-off in a Brunswick alleyway a few years ago,” explains Lefers. 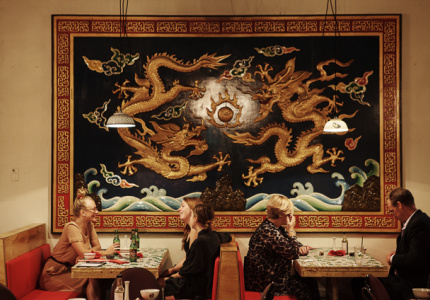 With the entrepreneurs spinning yarns on producing yum cha longnecks at this elusive establishment, and with gold dragon wall pieces adorning the space, it wasn’t until Borazio actually disentombed the Bourke Street location that reveries became reality. In this nutty mess hall, the menu will tap a Westernised Chinese methodology with Lefers and his team “putting liquid paper over anything [they] don't want to serve from the traditional Chinese menu and adding some classics that Australia has never experienced”. Lefers encourages diners to head up to the open-air deck overlooking Bourke Street, down a Tsingtao with their “Chinese taco” or Mu Shu Pork (shredded bamboo, pork, scrambled egg, mushroom and spring onions served with a thin pancake for wrapping) and generally get loose. But in essence, the lads want Happy Palace to be a scene that reflects our “suburban childhoods and the timeless films from our youth, like Jackie Chan’s Half a Loaf of Kung Fu”. Insert English-dubbed ninja voice at your leisure. Happy Palace is set to open on Bourke Street, Melbourne in early February 2013.